This edition of MRM's News Bites features OpenTable and No Kid Hungry, GS1 US, The Basque Culinary World Prize, Shift4 Payments and Jon Taffer, MAC’D and eatsa, The Oneida Group, Foodtastic Inc. and Enoteca Monza Pizzeria Restaurants, The Disgusting Food Museum and Walk-On's Bistreaux & Bar. In advance of the holiday season, OpenTable once again partnered with No Kid Hungry, a national campaign aimed at ending childhood hunger in the United States. Anyone can donate here. OpenTable diners can choose to donate their dining points to provide nutritious meals to children struggling with hunger in America. Every 100 points donated can provide a child in need with five healthy meals. The campaign will extend through Monday, Dec. 10.. Last year, OpenTable committed to match donations for up to 250,000 meals to deepen the impact of this effort. To donate points, diners can simply visit their OpenTable profile pages to view their points and select "donate my points." From there, diners will have an opportunity to donate a portion or all their points to support No Kid Hungry. For more information, click here. GS1 US®, the information standards organization, has relocated from Princeton Pike Corporate Center in Lawrenceville, NJ to a new, “built-to-suit” office located in the Princeton South Corporate Center at 300 Charles Ewing Boulevard in Ewing, New Jersey, top photo. GS1 US will continue to be co-located with U.S. subsidiaries of GS1®, the global standards organization, and 1Worldsync™, a provider of product content solutions. GS1 US worked with The Opus Group and Founders Properties, L.L.C. to develop, design and construct the new two-story building, which features an open and collaborative environment, along with the latest technology solutions to support the organization’s evolving business needs. It offers employees several more conference and meeting rooms, including a large meeting space to accommodate educational workshops often held on-premises, and a special sound-proof room for higher quality webinar broadcasts. GS1 US occupies two additional offices: a satellite office located in Chicago, Illinois and member support center, located in Dayton, Ohio. 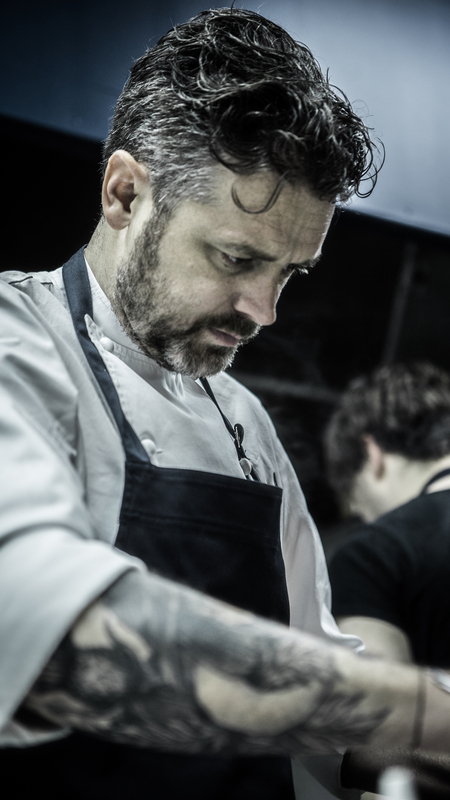 Scottish chef Jock Zonfrillo was awarded The Basque Culinary World Prize 2018 for championing the culture of the native peoples of Australia and safeguarding Aboriginal culinary tradition. The prize, worth €100,000, will support Jock Zonfrillo’s work to connect indigenous peoples to the rest of Australian society by creating a market for their culinary heritage. The winner was selected by a panel presided over by chef Joan Roca and made up of some of the most influential chefs in the world, as well as international experts in other fields. Since making Australia his home, in 2000, Zonfrillo has visited remote communities to understand the origins of ingredients and their cultural significance. He has given them a platform on the menus of his prestigious Orana restaurant, based in Adelaide, and has brought aboriginal cultural traditions to wider audiences through programs such as the Nomad Chef. "I’m so extraordinarily proud to have been chosen as the winner of the 2018 Basque Culinary World Prize," Zonfrillo said:. "To have a jury of peers who I respect so much makes this acknowledgement even more meaningful. Indigenous communities in Australia are the true cooks and ‘food inventors’ and have thrived on these lands for over 60,000 years. This international recognition symbolises just how important it is to gastronomy that we preserve their sophisticated cooking techniques and foods, and gives courage to us at The Orana Foundation to keep fighting on their behalf. 100 percent of the prize money is being invested into Indigenous community projects that will see a long term and sustainable impact on their community and financial security, and make positive change on their terms. The world of gastronomy is an enabler for change and the Basque Culinary World Prize is an instrumental part of that wave of change." 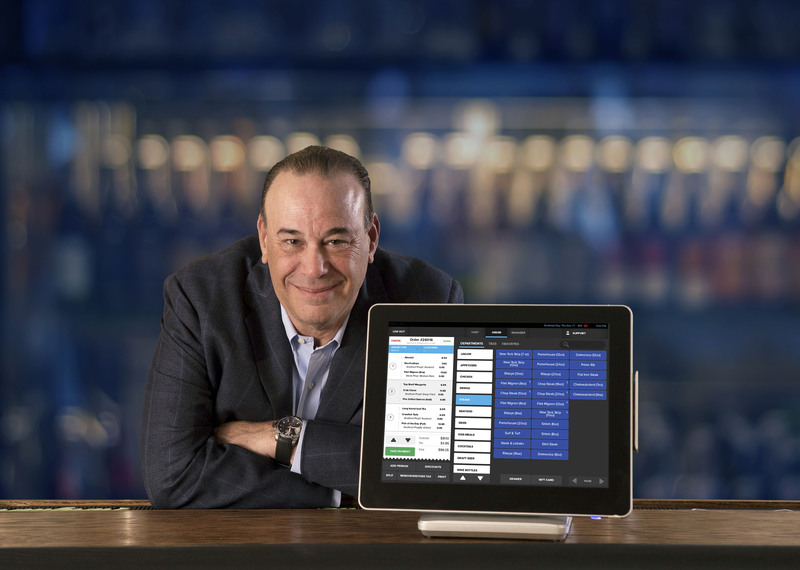 Shift4 Payments partnered with Jon Taffer, host and executive producer of Paramount Network's hit TV show Bar Rescue, to provide Shift4 customers with access to Taffer Virtual Teaching (TVT), an online training course for restaurant and bar managers and staff. TVT is a training platform that will allow restaurant staff to learn and retain information through short, engaging video modules. It is a comprehensive resource that provides access to the largest interactive library of its kind. TVT gives restaurateurs access to industry-leading strategies on how to drive more revenue by obtaining new customers and increasing their spending and length of stay. The training program includes testing to ensure that the information is understood by staff as well as a resume-building "Taffer Certification" upon successful completion, which will provide a huge value-add for restaurateurs looking to differentiate themselves in the employment market. Shift4 Payments has worked with Jon Taffer to deliver the program to their customers. Normally sold for $99 per month, Shift4 customers can obtain the complete program for an exclusive price of $49 per month. The training program is available to each Shift4 Payments customer directly through the marketplace section of the company's Lighthouse Business Management System. Shift4 Payments CEO Jared Isaacman states, "Jon Taffer is much more than just a television personality. He is the leading expert in the food and beverage industry with a long resume of impressive accolades. His management methodology, Reaction Management, has become the gold standard of the industry and he has successfully turned around hundreds of floundering bars and restaurants with his proven approach. This exclusive offering gives our customers access to Jon's invaluable expertise 24/7, 365 days a year." MAC’D, the fast-casual, build-your-own mac & cheese restaurant located in San Francisco and Portland will start rolling out eatsa’s technology, which offers scalable solutions for fast food and quick service restaurant operators. MAC’D now joins other eatsa partners, including Chicago-based Wow Bao. The first MAC’D store to use eatsa’s products will be the 2127 Polk Street location in San Francisco. The eatsa platform integrates the entire process from digital ordering channels to pick up and offers a flexible, integrated, scalable, data-driven technology solution that supports rapid growth through operational improvements and exceptional guest experiences. The Company’s omnichannel intelligent queue software integrates multiple order channels – including in-store kiosk and POS, mobile, third-party delivery and web – eliminating the need for tedious manual queue handling from multiple third-party delivery tablets, and providing optimized order management with accurate order availability times. Additionally, eatsa’s innovative pickup solutions create a new operational model for digital orders, facilitating more efficient service for operators and enabling a seamless and engaging pickup experience for customers and delivery service providers. MAC’D will be implementing the full eatsa platform. Their customer experience will be elevated with self-serve ordering kiosks, digital menu boards, a white labeled mobile app, as well as eatsa’s groundbreaking self-service order pickup system with a digital status board. Back-of-house, the restaurant will deploy eatsa’s operational tools, including an easy-to-use Kitchen Display System to streamline fulfillment. 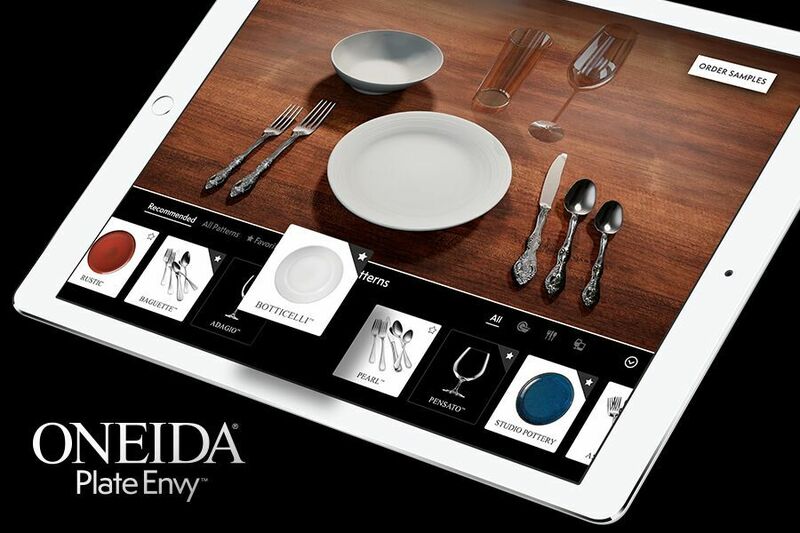 The Oneida Group unveiled a mobile version of its digital tool Plate Envy™, building on the May launch of the first-of-its-kind 3D visualizer that enables restaurant owners and operators to quickly and easily create a tabletop design and sampling experience. “The feedback we’ve received since introducing Plate Envy six months ago has been outstanding, with the tool revolutionizing how restaurant operators design the dining experience,” said Jeff Jarrett, CMO of The Oneida Group. “Our new mobile version builds on our initial success, allowing operators who are always on the go to fully realize the benefits of the tool right from their mobile devices. Plate Envy™ allows operators to skip the antiquated catalogue-based sourcing process by providing tailored dinnerware, glassware and flatware combinations that bring tabletop visions to life. The tool works by walking users through a three-step process. Plate Envy™ starts by asking a handful of questions to discover the restaurant’s style, setting, and cuisine. The tool then responds with recommended place settings to match the restaurant’s aesthetic and vision. Place settings come to life in 3D on a virtual table, so restauranteurs can visualize and swap dinnerware, flatware, and glassware to see how various combinations look together. Unlike flat photography, the 3D imagery puts contours in perspective, allowing users to tell how deep a soup bowl is or whether the lip of a dinner plate flares in a desired way. That makes it easier to narrow down top choices. The user can then click to request physical samples of any of the recommended items so that they can order later with a high degree of confidence. The tool is available here. Foodtastic Inc. acquired Enoteca Monza Pizzeria Restaurants "Monza," a full-service Italian restaurant concept in the Montreal area with a state-of-the-art food commissary. Peter Mammas, President and Chief Executive Officer of Foodtastic, said, "We are excited to add Monza to our portfolio of leading restaurants. This acquisition of a homegrown Quebec business is consistent with our strategy of acquiring brands with growth potential that complement our existing brand portfolio. We expect to grow the Monza brand immediately with four new locations in the Montrealarea expected in 2019, and locations in Quebec City and the Outaouais region slated for 2020. We believe the Monza acquisition will leverage our marketing, purchasing and operational systems to better serve our existing franchisees." Michael Gutfeld, Co-Founder of Foursome Restaurant Group (parent company of Enoteca Monza Pizzeria Moderna), said, "We've had a great run and an incredible experience building our restaurants and commissary over the last 9 years. We're extremely proud of the brand we built and the void we filled in the upscale casual Italian food market. We are thankful for what became a loyal clientele following, and we trust Foodtastic will apply their industry knowledge and expertise to this great brand, and take it to the next level of growth and expansion." Monza is the first of several expected acquisitions financed by a recently announced $47 millioninvestment in Foodtastic. 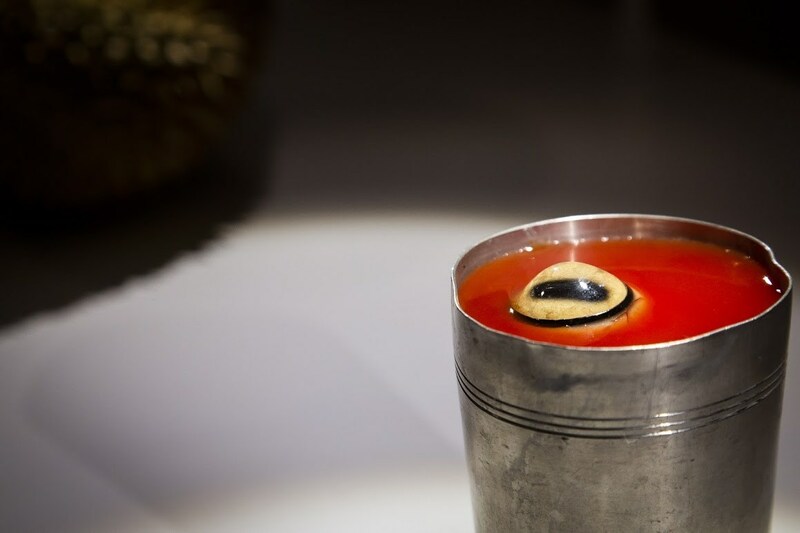 The Disgusting Food Museum, featuring the most provocative foods from around the world, is opening its doors in Los Angeles for visitors to see, smell, and even taste (if they dare) international foods. The Disgusting Food Museum is not just an exhibit, but a celebration of food from around the world highlighting how different cultures may or may not view certain things as disgusting. Exhibited at the A+D Architecture and Design Museum in the Downtown Los Angeles Arts District, The Disgusting Food Museum welcomes visitors to enjoy a culinary journey beginning December 9 through February 17, 2019. First displayed in Sweden, the exotic collection of foods was conceived and curated by psychologist, Dr. Samuel West, well-known as "Dr. Failure" after the runaway success of his Museum of Failure. Dr. West wanted to create an exhibit focused on exploring the shared human experience of disgust and expand the discussion of more environmentally sustainable proteins of the future such as insects and lab-grown meats. "The museum aims to change our view of what is disgusting or not and expose our minds to what is known as normal in other cultures," says Dr. Samuel West. This iteration of the museum has been designed by the A+D Architecture and Design Museum and produced by Special Entertainment Events (SEE). "After the success of The Museum of Failure, we're looking forward to once again joining Dr. West on another exciting journey of intriguing, unusual, unconventional, and hugely entertaining concepts," says Martin Biallas, President of SEE. The Disgusting Food Museum will be on exhibit at the A+D Architecture and Design Museum, 900 E 4th St, Los Angeles, CA 90013. Walk-On's Bistreaux & Bar will be spicing up this year's Independence Bowl by teaming up with world-renowned Louisiana Cajun and Creole chef, John Folse, to prepare what attempts to set the GUINNESS WORLD RECORDS™ title for the largest pot of gumbo. As more than 6,500 pounds of gumbo are prepared, Fan Fest goers are encouraged to purchase $5 bowls with proceeds directly benefiting Fisher House Foundation, a non-profit organization providing "a home away from home" for families of patients receiving medical care at major military and VA medical centers. The homes provide temporary free lodging so families can be close to their loved ones during a medical crisis. Football fans far and wide will gather at Independence Stadium, located at 3301 Pershing Blvd. in Shreveport, on December 27 for the game day action. As Fan Fest kicks off at 9:00 a.m., gumbo will be available for purchase until the delicious, traditional Louisiana dish runs out. Guests can purchase a bowl with cash donation on-site. With 11,000 servings up for grabs, the donation to Fisher House Foundation could result in over $50,000 to aid military and veterans' families. A formal check presentation will take place during the half-time show. "Food has an undeniable power of bringing people together, and I'm proud to use this vehicle to support the Walk-On's team in their effort to cook up change in my home state of Louisiana," said Folse. "I look forward to surpassing the record-breaking 4,000-pound pot I made in 2011, especially with a supportive crowd at this year's Independence Bowl all in the spirit of supporting our nation's veterans." "As the founder of a company that fosters and supports opportunities for military veterans, and a son of a veteran myself, it has always been a key effort to find a way to give back to our nation's service men and women," said Brandon Landry, Founder of Walk-On's. "We believe whole-heartedly in the Fisher House Foundation's mission to provide comfort and a taste of home to hospitalized military vets, and are proud to employ our go-getting, walk-on spirit to aid America's heroes."